The Bing is hosting showings of Shakespeare's comedies As You Like It on July 17 and The Taming of the Shrew on Aug. 21 as part of its Stage to Screen series, which is sponsored by the Modern Theater and the Spokane Civic Theatre. The respective productions were originally filmed live at the UK's National Theater and the Stratford Festival. Hangmen (June 19) — not a play by the Bard, but acclaimed in its own right — is also part of the series. Visit bingcrosbytheater.com for details. 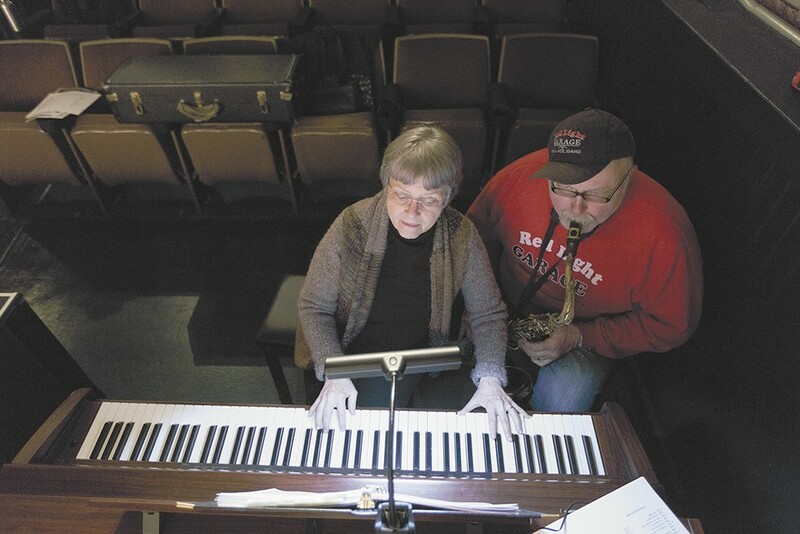 There's a brand-new summer theater offering in town, though the folks behind it are certainly no strangers to the local theater scene. Spokane Valley Summer Theatre's inaugural season kicks off with Buddy: The Buddy Holly Story on July 7 (runs until July 17). Next comes the Dickensian Oliver! (July 28-Aug. 7) and finally the high-octane Bring It On! (Aug. 18-21), all appearing at Central Valley High School's Performing Arts Center. There are evening as well as Sunday matinee showtimes. Tickets and info at svsummertheatre.com. Live theater has a completely different appeal when it's participatory. The Spark Center (sparkwestcentral.org) is holding a two-day Clue: Mystery Theatre youth playshop for first- and second-graders beginning July 11. Or have your young ones audition for The Commedia Rapunzel (runs July 14-24) at Spokane Children's Theatre (spokanechildrenstheatre.org). For young spectators, the Civic's two teen-oriented Academy programs (spokanecivictheatre.com) will perform High School Musical from July 22-31 and The Worst Talent Show... EVER! from Aug. 19-21. Sixth Street Melodrama in Wallace, Idaho. Sixth Street Melodrama (sixthstreetmelodrama.com) in Wallace, Idaho, is staging two quaint, breathlessly titled comedies this summer: The Diligent Daughter or Lips That Touch Wine (July 6-31) and Old Cookie Shop or Nellie was a Baker 'Cause She Kneaded Dough (Aug. 3-28). At Stage Left Theater (spokanestageleft.org), there's still time to catch The Laramie Project: Ten Years Later (through June 19), a play examining the lasting legacy of the 1998 Laramie, Wyoming, hate crime in which gay university student Matthew Shepard was beaten to death. The current season closes with The Gin Game (June 22-26) starring Ed Bryan and Kathie Doyle-Lipe as two curmudgeons whose competitive banter mirrors their card playing. The Inland Northwest's long-running summertime theater venue opens its three-month season with Peter and the Starcatcher (June 16-July 3), a fantastical backstory to that most fantastical of characters, Peter Pan. From July 14 to 31, The Music Man will delight both the cynics and the romantics in the audience. Everything wraps up with The Little Mermaid (Aug. 11-28), the family-friendly musical based on the animated Disney film. For the nonmusical crowd, there are staged readings of The Great Gatsby (June 22) and Lombardi (July 20). Buy tickets and read more about the shows at cdasummertheatre.com. One of the most active local performance venues during the summer months, the Blue Door Theatre holds its popular improv shows — like Safari, After Dark and Expedition — every Friday and Saturday evening. Some are all-ages, whereas others are aimed at mature audiences. 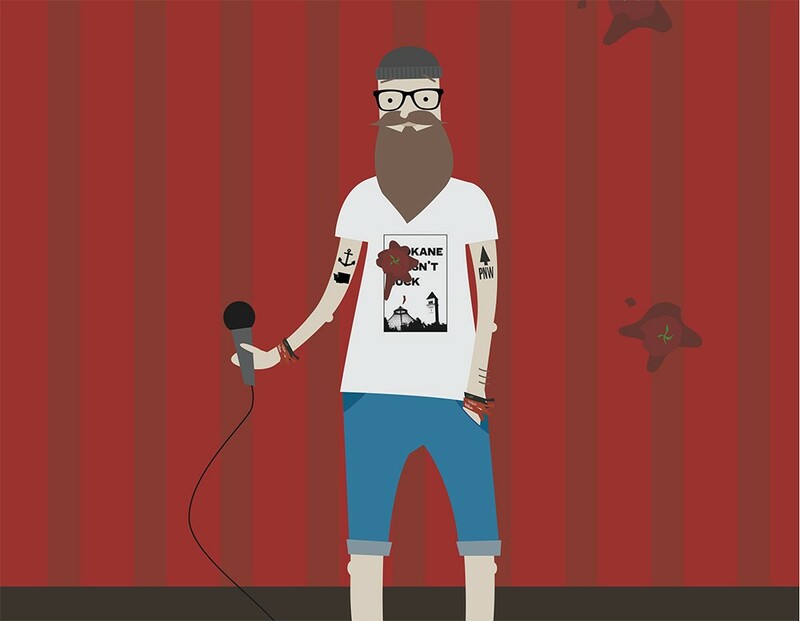 The new Improv Jam Sessions (Mondays, all summer long) allow anyone to show their improv mettle; in fact, attendees are obliged to participate. The theater's website (bluedoortheatre.com) has all the dates, details and showtimes, plus info on improv workshops. Tickets to most performances are just $7. 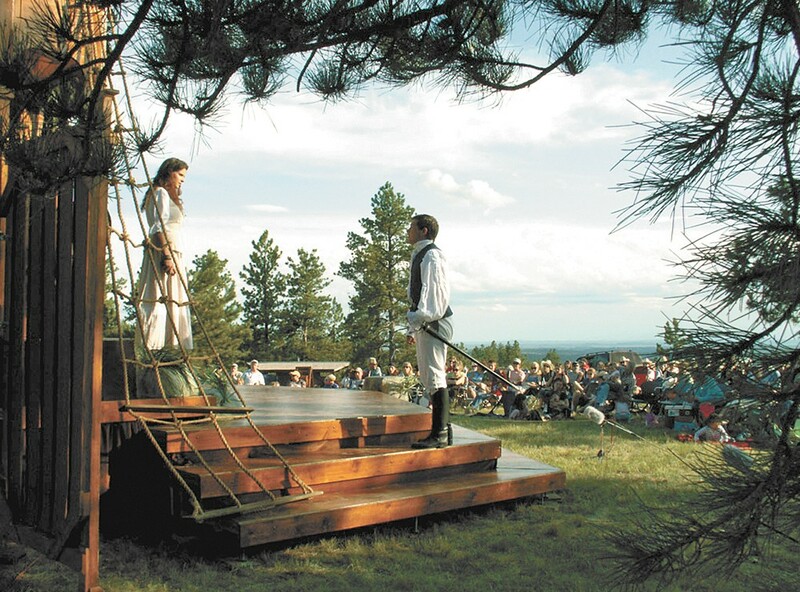 Get your Shakespeare fix in Montana — or wait for the show to hit Liberty Lake and Spokane. Ignite! Community Theatre caps its 2016-17 season with The Hostage, Brendan Behan's mood-shifting 1958 play about an unseen member of the IRA who is being held for murder in a Belfast jail. The hostage isn't the prisoner but rather a young, ill-fated English soldier who's kept at a brothel against his will by a rogue's gallery of characters representing different shades of Irish nationalism. Runs until June 26. Further details, including showtimes and ticket purchase, are at igniteonbroadway.org. The summer months are typically when most year-round theaters go dark. Starting about four years ago, however, The Modern Theater steadily began extending its seasons through the dog days and into the back-to-school season. This year, the July 4 weekend is the only time the theater goes quiet in both its Spokane and Coeur d'Alene locations, making it a summer-long option for evening entertainment. "Folks might be out on the lakes and rivers, hiking and biking and camping during the day, and when they're looking for something later on to kick back and relax, to go out to dinner and maybe enjoy some air conditioning, live theater is the perfect thing to do," says George Green, the Modern's executive artistic director. Until June 26 you can catch Cole Porter's Anything Goes at the Coeur d'Alene venue. Featuring classic songs like the title number and "I Get a Kick Out of You," it's a madcap, high-energy musical about a lovestruck ocean liner stowaway trying to woo an heiress away from her wealthy fiancé with the help of some colorful characters. That's followed by a three-week run of Man of La Mancha (July 8-30) at the Modern Spokane. This isn't simply a musical interpretation of Don Quixote; it's more of a reimagining in which the book's author, Miguel de Cervantes, awaits trial by the Spanish Inquisition and reenacts the story of Don Quixote as a play within a play. "It's another classic piece, yet we're doing it with — excuse the cliché — a 'modern' twist," says Green. "We're staging it in a penitentiary. You're going to see the the penitentiary commons area, the orange jumpsuits, you're going to feel like there's some gang activity. And essentially, the gist of the play within a play is the fact that Quixote has had massive drug abuse his whole life, so these are the visions that he's having. It'll be a Man of La Mancha that no one's ever going to have seen before." The third and final summer production, Dogfight, runs in Coeur d'Alene (July 29-Aug. 14). Green calls this 2012 musical about soldiers returning from war "the dark horse of the season." "It's a show that I'm really excited about — perhaps the show I've been most excited about the entire season. It's got a love story, but it really builds on the pains of what happens when young soldiers go off to war." Purchase tickets or check out curtain times, cast profiles and more at themoderntheater.org. If you're planning on taking a road trip to Yellowstone National Park or South Dakota's Black Hills, you'll likely pass through beautiful Bozeman, Montana. Which would be a perfect opportunity to see the roving acting troupe known as Montana Shakespeare in the Parks (MSIP) on their home turf. This summer they'll stage their earliest seasonal performances of Richard III and The Comedy of Errors on alternating nights between June 15 and 25 near the Montana State University duck pond. Should you miss one or both of the plays during that run, they'll be back again on Aug. 5 and 7 as part of the city's Sweet Pea Festival in Lindley Park. "This will be the first time in MSIP's 44-year history that we'll be bringing Richard III to our stage," says artistic director Kevin Asselin. "It will fit right into what is already an active political year, reminding us how Shakespeare stays relevant even 400 years after his death." The group's full itinerary is at shakespeareintheparks.org. Admission to the plays is always free, so it won't dent your vacation budget in the slightest. "Shakespeare in the Parks provides a great opportunity for family and friends to come together with a picnic and enjoy a night of free, professional theater," says MSIP managing director Susan Miller.